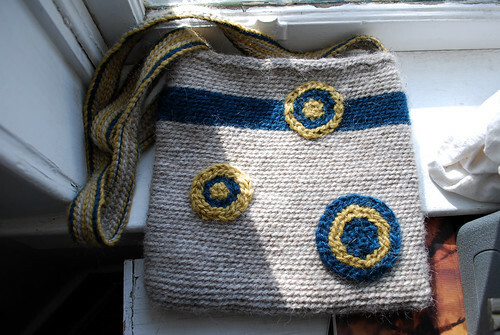 What you are looking at is the first purse I have ever made. I am going to be honest here and tell you that I am nothing short of nut-busting proud of about it. Being as I am not personally in possession of nuts to do said busting, this is some pretty serious pride. 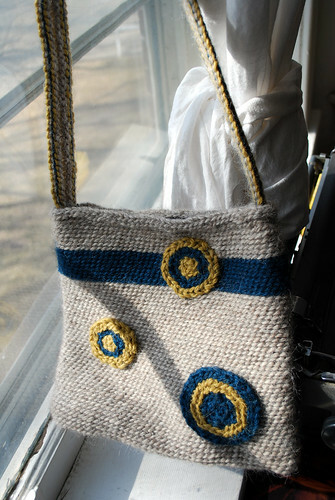 I crocheted the entire external body of the bag and the circles, which I appliquéd on the front. I also crocheted the strap from scratch. I thought about sewing a strap out of material, but that would have destroyed the unity of the piece. Also, my hands just simply were not cramping up enough, and the wool had not yet sucked out the last of the moisture in my hands, and the cats were having too much fun trying to kill three different balls of Icelandic sheep's wool to stop just then. It was worth it, though. That's one decent strap. As you can see, though, I did not put any circles on the back of the bag. 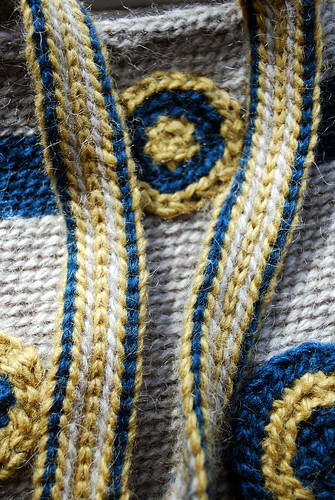 I am developing this weird callous on the middle finger of my left hand from holding the wool too hard, and I thought it might be best for the bag and I to take a step back and relax a little. Some relationships can only handle so much. Also, I anthropomorphize everything. I almost named the bag Darren. 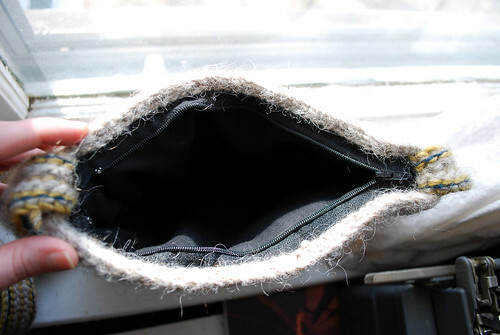 Lastly, I handstitched in a poly-cotton lining in black and topped it off with a black zipper. The lining will keep the bag from losing its shape, and the zipper will keep you from losing your wallet, which will keep both you and Darren very happy for some time to come. 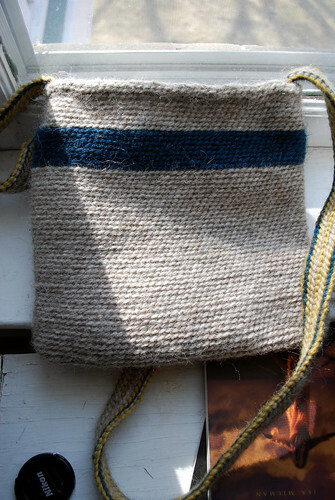 If you think that you might be the "you" in that previous sentence, I am selling this bag at my Etsy shop at a price I determined by mutliplying the cost of its ingredients by three and subtracting five dollars, because I hate the number eight.